One couldn’t help but feel empathy for sophomore-to-be quarterback Phil Jurkovec after a scattershot performance in the 90th annual Blue-Gold Game. His post-scrimmage session with the media screamed of a shell-shocked football player who was overwhelmed not only by the competition on the field, but the tough questions asked of a Notre Dame quarterback-in-waiting. To be fair, there were times when it wasn’t as bad as it seemed. He completed 4-of-5 out of the gate and 7-of-10 for 77 yards. He led the No. 2 offense on two touchdown drives and a field goal. He actually completed all but four of his first 16 pass attempts for 117 yards before finishing 15-of-26 for 135 yards. Mixed in, however, were 12 touch sacks that looked as if he’s never practiced in a red jersey. His pocket presence looked to be that of a quarterback who has spent most of his time playing 7-on-7 football. He stared at receivers, was distracted by the pass rush to where he couldn’t see what was happening downfield, and was indecisive throwing to a corps of young receivers that had a distinct advantage over the No. 2 secondary all spring. The early connections seemed to be getting Jurkovec comfortable, but in retrospect, the body language did not ever indicate a comfort zone during his Blue-Gold Game experience. And yet he found Kevin Austin on a slant after a couple of easy throws to Jahmir Smith and Braden Lenzy and drew an interference penalty to set up a short rushing touchdown. He threw behind tight end George Takacs for a 10-yard gain and then got some help from Joe Wilkins, who spun away from Avery Davisfor a 27-yard gain to the three. That series ended in a short rushing touchdown, meaning Jurkovec was at the helm of two touchdown drives in the first three series. On the field goal drive that netted 42 yards, he completed the first six passes – one each to wideouts Lenzy and Austin and tight end Tommy Tremble, and three to running backs before misfiring on the last two throws of the possession. Later, he threw a nice long out pattern to Lawrence Keys III. Jurkovec generally is a good decision-maker in the read-option. He showed that all spring and again in the Blue-Gold Game. He made the right decision on 4th-and-1 read-option keeper after being coerced by offensive coordinator Chip Long to run the play quickly. Jurkovec absolutely needs to be live to fully maximize his skillset. For all the yards he threw for in high school, his game – when he’s at his best – includes his ability to use his feet, although that also allows him to abandon going through is progressions in the passing game. Jurkovec played well in spurts, but even when he played well he was tentative. There were some swing passes where he looked like he was just happy to get it out of his hand. As the afternoon progressed, the sacks accumulated and his confidence started to erode. He began throwing passes just to get rid of the football, even when linebacker Shayne Simon was blanketing Keys on a quick out. Jurkovec either didn’t trust what he was seeing downfield or, reminiscent of Brandon Wimbush, he didn’t actually see what he needed to see when he stared downfield. Perhaps the “least aware” play of the first half came late in the first quarter when he was flushed to his right and had a wide-open Keys mirroring his movement across the field. Keys was open…and open…and open. He still might be open, that’s how open he was. But Jurkovec didn’t look as if he was ever going to deliver the football before forcing Keys to come to a stop along the sideline and then launching it over the head of the speedy 5-foot-10 receiver. NBC’s Doug Flutie inserted that the pile of bodies in front of him might have distracted him from throwing Keys the football. But that’s quarterback play 101. He can’t be distracted by what’s in front of him and has to deliver the football quickly to Keys to give Keys an opportunity to do what he does best after the catch. When Jurkovec backed his way into a sack by tripping over fallen offensive tackle Andrew Kristofic, it showed his unwillingness – or lack of vision – of a path to his left to step up into a throw. So how did Jurkovec throw for more than 11,000 yards in high school? He didn’t do it by working his way through his progressions and hitting the second and third options in a route. He likely threw for most of his prep yardage to the first read, the primary read that likely had a ton of space between himself and the defender, which doesn’t happen as often on this level. The shortcoming becomes glaringly acute when you watch Ian Book work his way through all of his passing options before deciding on the best of the bunch. One could argue that Book has eight starts under his belt from 2018, so he’s way ahead of Jurkovec in that department. Absolutely true and something that needs to be kept in mind. But think back to those early games with Book as the starter. He knew where every one of his receivers was going to be or needed to be in his first start against Wake Forest and built his way from there as he quickly ascended to the lead the nation in completion percentage. But that was red-shirt sophomore Book, not the true freshman Book. Jurkovec is in the infancy stage of his development, just like Book was in the spring of 2017. By the end of the scrimmage, Jurkovec was flustered as quarterbacks coach Tom Rees tried to feed him as much information as possible. Jurkovec completed just 3-of-10 for 18 yards after the 12-of-16 start. Early on, Flutie commented on Jurkovec “dropping his eyes off the coverage and looking at the pass rush.” And that was with the knowledge that he couldn’t be hit. Flutie also immediately detected how late the football was coming out of his hand. At the end of the first quarter, Kelly told Flutie that he talked to Jurkovec about getting too much depth on his pass drop, which wasn’t allowing the tackles to do their jobs. Kelly later told Flute that Jurkovec had to simply let it go, a prevailing theme throughout the day. At one point, Flutie said he talked to Jurkovec, who indicated he was uncomfortable with the quick whistles and the inability to play it live, and that’s understandable. Much of Jurkovec’s success in high school was precipitated by his ability to run. At 6-foot-5, he’s a quality athlete who can hurt you with his feet as well as his arm. A day that began with promise turned into a pretty big mess and a lasting memory for Jurkovec that obviously left him pretty shook up with the media as his day came to an agonizing conclusion. As expected the difference between starter Ian Book and his backup was stark. Book was an efficient 16-of-21 for 220 yards, including a 12-yard touchdown pass to Michael Young to cap the opening drive and a 43-yarder to Chase Claypool that traveled 47 yards on a line. Book was smart about the no-contact rule. When he ran the read-option and it was more beneficial to keep it, he kept it, ran it full speed and let the officials blow the whistle when it was necessary. Book carried himself like a veteran. Book stepped up in the pocket and delivered a strike to Michael Young in the impressive opening drive. His decision-making and run through his progressions was solid, although there remain times when he could step up in the pocket rather than spin and give ground away from the line of scrimmage. Book can create some wonderful things when he spins out of trouble, yields ground, and then gets his shoulders squared while moving toward the line of scrimmage. Where it becomes problematic is when an edge rusher presses the corner and forces Book to continue giving ground. It’s a fine line, but in general, it’s a bad habit to keep running away from the line of scrimmage. That’s why he’s being encouraged to step up in the pocket more often. Book missed a seam route to Cole Kmet on a throw that the big and majestically-athletic Kmet could have had. But for the most part, Book looked like the steady general of the offense and a prime candidate to be named one of the captains of the 2019 team when a decision is announced in August. Notre Dame’s running backs – minus Tony Jones Jr. with a head injury – was one of the more impressive aspects of the Blue-Gold Game. Jafar Armstrong led the way with nine carries for 85 yards and a touchdown, including a 42-yard run. Jahmir Smith was next with eight carries for 56 yards and two touchdowns with a long of 27 yards. Kyren Williams was shifty – he made Shayne Simon whiff – with 22 yards on six attempts and a touchdown. C’Bo Flemister was pretty bottled up with the No. 2 unit. He had just 13 yards on eight attempts. NBC’s Chris Simms compared Armstrong to C.J. Prosise, which is a fair analysis because of the rushing-receiving package he offers, although Armstrong proved he’s much more inclined to want to run a defender over. Simms said he wanted to see Armstrong prove his physicality, although that was something the local media saw all spring. Armstrong flashed it early when he took a swing pass from Book in the open field and planted Elliott on his back. Everything we expected of Armstrong was on display in the Blue-Gold Game. He caught four passes for 71 yards. He broke an arm tackle attempt by Troy Pride Jr. and raced 42 yards. The disappointing part was the fumble caused from behind by Elliott where Armstrong has to have the awareness that defensive pursuit is sure to be on his tail on a slower-developing pass play. Smith was very impressive with his power mentality and tackle-breaking ability. When Paul Moalacouldn’t corral Smith in-line, Smith bounced it outside for a 27-yard game. His pad level his excellent and his thirst for contact is impressive. He played power football again on a nine-yard run in the red zone following the 43-yard pass to Claypool. He showed vision, quickness and elusiveness on that nine-yard run and made Elliott feel his wrath at the end of the run. He then scored when Daelin Hayes’ arm-tackle attempt was no match for the 5-foot-11, 207-pound Smith. Who’s Notre Dame’s No. 3 running back? It’s there for the taking by Smith. If Tony Jones Jr. can’t stay on the field and/or run with the power Smith showed, the No. 2 job ultimately could be up for grabs. Williams ended a solid spring on a high note. He showed elusiveness evading Temitope Agoro and left Shayne Simon in his wake. He ran through an arm tackle by Kofi Wardlow for a touchdown. His pad level is excellent because “he’s built from the ground up,” according to running backs coach Lance Taylor. Speaking of Taylor, this group is playing with great physicality, which is something Chip Long noted during the spring. It’s almost as if the red jerseys that are placed on the quarterbacks is a detriment to the pass blocking of the offensive line. It’s as if in the back of their minds, they know they have an escape clause. While most feel pretty good about the run-blocking of this unit – Jarrett Patterson was excellent in both – the pass-blocking left a lot to be desired, particularly tackles Robert Hainsey, Liam Eichenberg, Andrew Kristofic and Cole Mabry. It was a jailbreak for Notre Dame’s defensive ends, and it didn’t stop once Julian Okwara and Khalid Kareem retired for the day before halftime. Okwara destroyed Eichenberg off the edge in the opening drive. Hainsey also never had a chance on one pass rush by Okwara. Ovie Oghoufo ran right by early-entry freshman John Olmstead. John Dirksen was overrun by tackle Jayson Ademilola. Kristofic was overmatched by Oghoufo. Mabry was whistled for two holding penalties. One would be hard-pressed to find any positions that excelled in pass protection, except perhaps some of the interior guys. Patterson may have been the exception as well as guards Aaron Banks and Tommy Kraemer. Patterson absolutely stoned Myron Tagovailoa-Amosa’s pass rush. He squared him up and disarmed him. Patterson also squared up Jordan Genmark Heath in the open field on a 10-yard gain. Patterson stood up Kurt Hinish’s pass rush. You better be very good at getting leverage on Patterson because he’s going to extend his arms and lock you out of your pass rush. A credit to Josh Lugg at center, who ran Jayson Ademilola off the ball. Dirksen also turned Jacob Lacey around on a run block while Quinn Carroll peeled off Wardlow to seal Derrik Allen on Kyren Williams’ one-yard touchdown run. The pass rush almost always gets to the offensive line in the Blue-Gold Game. That’s understandable. This was acute, due largely to the fact the Irish have one of the best sets of defensive ends in the country. But Notre Dame’s tackles will have to be much better than they were Saturday. For NBC to show Brian Kelly’s record as 60-34 is wrong. I mean, it’s right, technically, because of the 21 vacated wins in 2012-13. But his actual record on the field is 81-35…NBC’s SkyCam innovation – obviously driven by Jack Swarbrick and Notre Dame as Swarbrick’s halftime conversation with Paul Burmeister indicated – was interesting but terribly flawed. That happens in a trial-and-error situation. In an attempt to offer a different look, one very important thing was lost: You can’t see who’s making the plays. That’s kind of important. That’s ultimately the most important thing. It’s a unique perspective, but it’s just a mass of bodies until the camera swings parallel with the line of scrimmage and they zoom in. There’s work to be done, otherwise you’re just being different for the sake of offering a different angle. The viewer does not benefit if the individual players are not distinguishable. A false start on Robert Hainsey at the defense’s two-yard line in the opening series? That can’t happen to a veteran…A complete win for Braden Lenzy to play in this game following hamstring and head injuries. He caught two passes, which is a win for the up-and-coming Lenzy… Chris Simms made a great point, one that people in our business say all the time. If you’re a quality high school running back with Notre Dame’s offensive linemen and Chip Long’s desire to run it, why wouldn’t you come to Notre Dame? Chase Claypool looks like a big-timer. If he explodes this year – 75 catches – and becomes a real standout, it won’t be a surprise. This kid is dialing in and believing he can be great. He can be better than Miles Boykin was in ‘18…The athleticism of Cole Kmet on the late second-quarter drive when he caught three passes for 21 yards and nearly made the acrobatic grab on a high throw down the seam is always impressive when he puts it on display. Kmet also drew a pass interference penalty in the end zone to set up Jafar Armstrong’s score. He’s always had star potential. Chip Long needs to accentuate it and Book-to-Kmet need to make it happen. 40wwttamgib, IanC, theregionsitter and 4 others like this. It was interesting to hear NBC’s Paul Burmeister and Chris Simms offer information from their conversation with Clark Lea regarding the adjustments made defensively since last year following the loss of, in particular, Jerry Tillery at defensive tackle and inside linebackers Te’von Coney and Drue Tranquill. Lea told them that instead of funneling play to the middle of the field – as they did with those three stalwarts plus Jonathan Bonner up the middle – the defense wants to make teams run wide in 2019 to take advantage of Notre Dame’s perimeter speed. Perhaps more accurately, the change is to offset the lack of stellar play up the middle without Tillery, Coney and Tranquill. Running backs Jafar Armstrong, Jahmir Smith and Kyren Williams carried a combined 23 times for 163 yards (7.0-yard average) with Armstrong clipping off a 42-yard run and Smith bouncing outside (against the No. 2 defense) for 27 yards. The theory partly explains why opponents occasionally had some success running up the middle against the Irish in 2018. Notre Dame wanted to take the edge away from opponents, so teams found running between the tackles more inviting (particularly when Tranquill played outside the box in nickel), although Notre Dame’s surest tacklers (Coney and Tranquill) were always in the vicinity. Now, you run the risk of a few more big plays off the edge if you’re funneling outside, but you have to play to your strengths – or against your weaknesses – if you don’t feel you can bottle up the running game between the tackles. It says something about a defense whose strength is not “up the middle,” which can lead to some problems. While you don’t want to read too much into the Blue-Gold Game based upon those rushing numbers, you have to put some weight on it because throughout most of the open practices in the spring, the running game took a back seat to the passing game. The majority of what we saw over the course of a practice was the passing game, which is pretty typical. The Blue-Gold Game, although there were 51 passes attempted with another 15 blown dead by touch sacks, emphasized live rushing more than at any time during the spring. The running game -- with an interior line trio of Aaron Banks, Jarrett Patterson and a trimmed down Tommy Kraemer – won the day. In addition to the seven yards rushing per attempt by the top three running backs, there were five rushing touchdowns, most of the short-yardage variety. Those interior defensive linemen weren’t getting off a whole lot of blocks. Consider that tackles Myron Tagovailoa-Amosa, Kurt Hinish, Jayson Ademilola and Jacob Lacey combined for four tackles – two each by Ademilola and Tagovailoa-Amosa. Neither Hinish nor Lacey was credited with a stop. Third-teamers Darnell Ewell and Logan Plantz each were credited with a tackle, including a tremendous individual play by Ewell to stone C’Bo Flemister at the one. When I watch the Blue-Gold Game one more time, I’ll focus entirely on the line play. But from a peripheral standpoint while occasionally focusing on the man-on-man battles, I thought the starting interior offensive line had the advantage, which is a little scary knowing that Tillery and Bonner are gone. Those were two guys who used their hands extremely well. Banks is the most talented offensive lineman in the starting lineup, period, and if he’s not, I thought Patterson was on Saturday. This bodes well for the offense (although all the sacks didn’t) as Chip Long tries to establish a power running game to complement what Ian Book and the myriad offensive weapons can accomplish. Hinish and Tagovailoa-Amosa in particular have to prove they can get off blocks and make plays. Hinish came a long way last year, but still was a guy that was very limited in the number of actual plays he made while Tagovailoa-Amosa missed all but two games in ’18. Patterson defeated both of them. Perhaps the most adept among those tackles at getting off blocks and making plays is Ademilola, who had success against Notre Dame’s inexperienced backup interior offensive line Saturday after making 19 tackles in just 12 games of limited action last year. To sum it up, it remains to be seen whether Notre Dame’s interior defensive line can be as effective as it was last year without Tillery and Bonner. The jury is out. This will be brief because it’s been said before and it’s so obvious that verbosity is unnecessary. Notre Dame’s starting defensive ends Julian Okwara and Khalid Kareem are outstanding college football players who have become nearly impossible to pass block. Backups Daelin Hayes and Ade Ogundeji would have started on most Notre Dame defensive lines the previous 20-plus years. Jamir Jones has been so good that they’d like to preserve a year of eligibility so he can return in ’20 when Okwara, Kareem and Hayes are gone. Justin Ademilola continues to impress and get better. He is a motivated young man out to prove he’s every bit as worthy as his twin brother. It looks like he is. Ovie Oghoufo had a very noteworthy spring and was a force in the Blue-Gold Game against Notre Dame’s red-shirt freshmen and early-entry freshmen offensive tackles. NaNa Osafo-Mensah and Isaiah Foskey under Mike Elston’s tutelage are next. In a business in which superlatives are thrown around loosely, I can’t remember in 37 years – even during the great Lou Holtz years – when Notre Dame has been this productive and deep as this team’s defensive ends. It’s pretty astonishing. I thought this as spring drills were coming to a close and felt it was confirmed in the Blue-Gold Game. Of the three linebacker positions – Mike, Buck and the hybrid Rover – the best equipped of those positions right now is Rover with red-shirt junior Jeremiah Owusu-Koramoah and sophomore Paul Moala. Owusu-Koramoah really came on strong the last three weeks of spring. He no longer looks hesitant, so the natural aggression that was so impressive when he was coming out of high school has surfaced. He attacks the line of scrimmage and has as much lateral quickness as any of the players currently aligned at the three positions. Moala’s learning curve is a little greater, but he, too, is finding a comfort zone up near the line of scrimmage and is attacking from the edge as well. It couldn’t be more encouraging than Moala’s game-high nine stops, including two sacks, and Owusu-Koramoah’s seven. These two players are a big reason why Clark Lea would want to funnel play to the flanks against the 2019 defense. There’s concern, however, at Mike and Buck linebacker, particularly with Jack Lamb sidelined Saturday after rolling an ankle earlier in the week. Asmar Bilal and Jordan Genmark Heath lined up predominately with the first team while Shayne Simon worked in as he and Bilal played both inside spots. Simon clearly was the most impressive with six tackles and two tackles for loss. He was physical and aggressive, which are words that were missing from his description when they had him out more in space at Rover. He set the edge on a Lawrence Keys jet sweep midway through the first quarter. He fought off a Jahmir Smith block. He came off the edge in the blue zone to stop Kyren Williams. He tackled C’Bo Flemister inside the five-yard line for a one-yard loss. He sniffed out a screen pass to Flemister for a two-yard loss. If he can continue to progress throughout the summer and in August, Simon is going to be difficult to keep off the field. For me, Bilal and Genmark Heath are a concern. Bilal too frequently is “late to the party” in pursuit and Genmark Heath – the converted safety – has real difficulty getting off the blocks of interior offensive linemen. Both had five stops Saturday, but struggled in space. Bilal missed a squared-up tackle on Jafar Armstrong in the opening series. He had his back completely turned to Ian Book in the end zone defending Cole Kmet as Book ran to the pylon. Bilal lacks natural football instincts. Bilal loses too many one-on-one battles, whether it’s an offensive lineman blocking him or a chance to make an individual play against a skill-position player with the football. Bo Bauer played well. He was aggressive and physical with six stops. But the coaching staff obviously believes there are shortcomings in his game because he never really got a shot at the lead job this spring. Jonathan Jones’ main role appears to be on special teams. Can Osita Ekwonu or J.D. Bertrand help? That’s a long shot with their arrival in August. Lamb’s health will be important. They also need Drew White back. The same reason Chase Claypool is so impressive on the offensive side of the football is a trait that cornerback Troy Pride Jr. has as well. He’s become a “professional competitor” in his approach to the game. He had the fumble recovered that Jalen Elliott caused and one of six passes broken up. No one will work harder to be great this off-season than Pride. It’s the only way he knows. Houston Griffith did not allow a ball over his head (in man-to-man coverage), although he did trail Michael Young on the 12-yard touchdown pass in the opening drive of the game. He’ll be fine against the run, but there’s work to be done after a very up-and-down spring against the pass. Temitope Agoro is a walk-on, but you wouldn’t know it by the way he carries himself. I thought that really shined through in the Blue-Gold Game. He responded to the moment. In fact, if you didn’t know better and were asked who Notre Dame’s starting cornerbacks are based upon the Blue-Gold Game, you’d say Pride and Agoro. Agoro had three of the six passes broken up – including a red-zone ball disruption against Javon McKinley -- and was very physical while making six tackles. Agoro cannot be ruled out as an option this August. It was an aggressive but somewhat difficult day for Elliott, who made six tackles with the heads-up strip of Jafar Armstrong from behind. But Elliott had to withstand the wrath of hard-charging running backs Armstrong and Jahmir Smith. He was hammered a couple of times but obviously is equipped to handle it. D.J. Brown started at whip safety in the absence of Alohi Gilman. Brown took a shallow angle in the deep-zone coverage against Chase Claypool, which allowed Book to hit Claypool for a 43-yard gain. Brown had to be cognizant of Finke up the seam, but it was a play that epitomized what we saw of Brown throughout most of the spring. He’s getting better, but he’s still a step away from making a play. Tons of credit to red-shirt freshman Derrik Allen, who played an active, physical game from the stud safety position. He finished with seven tackles, including several aggressive, bone-crunching stops like the one on Keys’ jet sweep. It’s something to build upon heading into the summer months. Credit to junior-to-be kicker Jonathan Doerer, who started out very slowly this spring but gradually found a groove as he slowed down and shortened his approach to the football. Doerer looked very relaxed kicking the football as he converted all five extra points, made a field goal from 35 yards, and then clanged one off the left upright from 39 yards late in the scrimmage. Still, Doerer remained optimistic afterwards when he said that was the best ball he hit all day. The right-to-left action can be problematic, but it’s less acute when he slows down his operation. When he doesn’t over swing, the right-to left action dissipates. Of course, there wasn’t a live rush Saturday like there will be in games. He’ll have to improve the operation time. But Jay Bramblett is a good holder with a very quiet placement of the football. Doerer exits the spring with a comfort zone that has been missing. You expect a high school quarterback to look like an athlete as a punter. We’re also spoiled by what an exceptional athlete Tyler Newsome is. Bramblett has looked exactly like I saw him look on high school and camp film. He doesn’t have a long, aesthetic leg swing with an extended follow through. He punches the football with his foot as much as he kicks it, and thus, his eight punts Saturday averaged 34.9 yards per attempt. Normally, one could say it was very breezy in Notre Dame Stadium and that had something to do with Bramblett’s woes. But the kicks were short as they came off his foot. The wind had little to do with it. He tends to punt across the football as opposed to up and through it, as if he’s trying to accentuate the spin a punter wants to get. I get it, but man, you’ve got to drive through it. He had a 49-yarder early in the second quarter, but it was a line drive that absolutely would have been returned in a game, and probably for double-digit yardage. His best punt, and the punt that would be great for Bramblett to be known for, is the 42-yarder near the end of the third quarter when there was enough hang time to force a fair catch in a real game. If Bramblett can do that, great. He’s not going to be booming 50-yarders like Newsome. That’s not his game unless he makes marked improvement over what he showed on the prep level and this spring. A 42-yard fair caught punt? Sign me up. And yet after the 42-yarder that was fair caught, he followed up with a poorly hit 31-yarder that looked like a soft bat-handle liner into shallow centerfield. Are they actually charcoal or blue? I'd say blue but they are kind of mottled. Beeds07 and NilesIrish like this. a1ND, chase538, npndne and 2 others like this. I don’t see him getting a B1G job so where would he land? He's got a HC tag right? he's making money. I'd be really curious to see what the coaching budget it. I have a feeling it's a lot more than I would guess. SD_Irish and Beeds07 like this. Gonna start stockpiling rotten fruit on the off chance I see him. I threw up in my mouth when I saw this. I am going to cringe seeing a picture of him at a game decked out in ND gear. Just gross. The hits keep on coming. FFS Cierre. Bury him under the jail. A former Notre Dame football player charged with the murder of a 5-year-old child in Las Vegas allegedly forced the girl to exercise as punishment because he thought she was overweight, according to KSNV-TV. Notre Dame is still very much in the hunt for Chester (Va.) Thomas Dale five-star running back Chris Tyree, a must-get for the Fighting Irish from the class of 2020. Here’s the latest on Notre Dame’s chances with the 5-9, 180-pounder and nation’s No. 30 overall recruit this cycle. Nothing has changed regarding his recruitment in terms of the heavy-hitters involved. It still looks like a three-team race at the top with Notre Dame, Oklahoma and Alabama all involved. The Fighting Irish have long been considered a top contender because Tyree loved his first visit to campus, feels like a true need for the staff, has a great relationship with offensive coordinator Chip Long and really hit it off with running backs coach Lance Taylor during his spring visit to campus, which was his second trip overall. Alabama has been in play since the arrival of new running backs coach Charles Huff. The two go way back to when he was at Penn State, before he even coached at Mississippi State, and that connection seems to have Tyree very intrigued about potentially playing with the Crimson Tide. He also had a great first trip to Tuscaloosa. Oklahoma has done a great job with his recruitment, kind of lurking in the background, and then the plan was to leave a huge impression during this past weekend’s visit to campus. According to one source, the belief is that is exactly what happened. One source feels as though Oklahoma may have taken the lead in this recruitment as of today, Apr. 16. There are now two 247Sports Crystal Ball predictions for the Sooners including one from Oklahoma insider Brandon Drumm. Today is going to be a big day for Notre Dame. I’m told running backs coach Lance Taylor is out on the road and will see the elite prospect at his school on Tuesday. Spring ball just wrapped up and this is the first day some of the coaches are hitting the road. Taylor’s first stop, which comes as little surprise, is to see Tyree and try and make sure that he stays committed to his timeline, visits Notre Dame from June 21-23, and then commits after that. There’s a little smoke out there that the Oklahoma visit went so well that maybe he’ll make a decision before ever returning to campus in South Bend, which wouldn’t be ideal for the Fighting Irish. We’ll see if Taylor’s trip to the high school today and the phone conversations after he leaves result in Tyree definitely getting back to Notre Dame for a third visit. Losing on Tyree would be a very tough blow to the Irish, as he’s been priority No. 1 for a very long time. As it stands now, Notre Dame leads per the 247Sports Crystal Ball. Five of eight picks are in for the Irish, two are in for Oklahoma and one is in for Penn State. 247Sports lists Tyree as the No. 49 overall recruit nationally, No. 1 all-purpose back in the country and No. 1 prospect in Virginia from the class of 2020. Rise, Beeds07, IHHH and 4 others like this. “We met up with coach (DelVaughn) Alexander at 1:30 (on Thursday) to start the day with him and learn about Notre Dame for Jalen,” Goston said. “That was a good experience. Jalen got to ask questions, watch film, meet other coaches, talk to Chip Long, just kind of get a really good sense of the place, talk to some of the players, had lunch. So, that was really big for Jalen to meet some of the players and get a vibe from them about how they are. Unlike some from the West Coast, McMillan won’t be scared off by the weather or academic challenges of Notre Dame. It’s important to understand that when it came to choosing his high school, he passed up local public schools to attend San Joaquin Memorial, a private Catholic school with a more demanding academic workload than his other options. For that reason, Notre Dame’s approach to getting in front of what can be a heavy-hitting reality of the strenuous academic challenge was one of the aspects McMillan appreciated most. Aside from Sargent, the man to deliver the message of academic challenges that carry an invaluable pay-off was coach Brian Polian who met with the borderline five-star on Friday. “Coach Polian did a great job of going over the benefits of Notre Dame, and how Notre Dame is not for everyone,” Goston said. “So, that was very useful. “(McMillan) just kept saying how good it was that the coaches were so honest and upfront. A lot of times in the recruiting process, he was telling me that coaches kind of tell you what you want to hear. He said that the Notre Dame coaches were saying, ‘this is not going to be easy, this school is not for everyone. The academic rigor is real and you’re going to have to go to class and you’re going to have to balance football, and you’re going to have to do all these things and it’s not something everyone can do.’ I think he was happy to hear that they were being upfront, they were being real, that they weren’t sugar coating how things were going to be. Saturday brought a meeting with Brian Kelly before the spring game where McMillan got an up-close look at how the football program goes to work. With several summer-entry Notre Dame freshmen on-hand along with the full program, McMillan was able to meet Isaiah Rutherford – a Californian who also chose a private Catholic school in Jesuit over public schools before choosing the Irish. Another athlete with a resume similar to McMillan’s, Kyle Hamilton mixed well with the blue-chipper as well. As for current players he met, fellow wide receivers in Braden Lenzy and Joe Wilkins served as solid examples of what McMillan’s future would look like in South Bend. “He liked the vibe,” Goston said. “I think the best way that you could kind of summarize it when it comes to that interaction, Jalen is big on people and you could tell he was very comfortable being around the players. Before heading back to Chicago to fly West, one last meeting with Alexander capped off what was an unofficial visit that would shake up McMillan’s recruitment. As far as the biggest takeaways from that trip which McMillan and Goston hashed out on the airplane back to California, it started with the evidence laid out by Polian on Friday. With all that was considered over the weekend, the way Irish staff brought to light the common ground between Notre Dame and San Joaquin Memorial in genuine fashion may have been the most impactful. “When we were flying back (Sunday) night, he talked a little bit and he said, ‘coach, I was really impressed with Notre Dame and what they have to offer and how honest they were.’ He could definitely see himself there. I think a lot of the negative things that may be said – whether it’s on social media or in the community or wherever – about Notre Dame, I think he could see for himself that those things aren’t true. For a football program looking to add its top wide receiver class of the Kelly-era, McMillan is the top prospect in that effort after adding Top 50 wide receiver Jordan Johnson. To make that effort a reality, the Notre Dame coaching staff needed to put a spotlight on its best attractions and hope McMillan was drawn to them. Over the weekend, it appears that effort was successful. As far as the elephant in the room when it comes to Notre Dame’s past efforts in McMillan’s area, Goston believes those negative expectations should be cast aside. “It’s funny, I always read stuff where people, because of history with Notre Dame and Fresno, I think people assume that Jalen is not going to come (to Notre Dame),” Goston said. “I think there is very sincere interest, he really is intrigued and I can see him there. And I think his parents can see him there. What comes next for McMillan? The exciting pass-catcher will likely take a few more unofficial visits out West this off-season while track and exams will be a large focus in the near future. As for official visits, trips to Oklahoma and Washington will take place this fall while an additional official visit to Notre Dame on the weekend of Oct. 11-13 is being seriously discussed. With a commitment time frame of December, Notre Dame should be a serious contender. repoocs, theregionsitter and chase538 like this. Oh I (we) know. Doesn't make me fill any less dirty though. SD_Irish, Beeds07, VoodooChild5 and 1 other person like this. beist, VoodooChild5, NDfanPSUgrad and 1 other person like this. Is this the first time we have had more than one Leprechaun or have I just been too drunk to notice? DetroitIrish3, Red Rover and Juke Coolengody like this. On Tuesday, Irish Illustrated and 247Sports first reported that Notre Dame running backs coach Lance Taylor was heading to Chester (Va.) Thomas Dale high school to see Chris Tyree, the top priority at the running back position from the class of 2020. Here’s an update on the latest surrounding the Fighting Irish and the five-star running back. Notre Dame has long been considered the leader and top school for Tyree, a 5-9, 178-pounder ranked as the No. 30 overall player in America per the 247Sports Composite Rankings. He took multiple visits to campus, loved each trip, struck up great relationships with offensive coordinator Chip Long and Lance Taylor, and all signs pointed toward the Fighting Irish landing him following his June 21 official visit to South Bend. Every single insider connected to this recruitment felt the same and the belief has always been that Tyree was going to be suiting up in the blue and gold for a couple of years. According to sources, things have changed. Tyree took an official visit to Oklahoma over the weekend, his second trip to Norman so far in his recruitment, and multiple sources believe the Sooners are now the team to beat. I’m told that as of yesterday, Tyree’s plan was to move his timetable up, which likely bodes well for Oklahoma, skip the official visit to Notre Dame, and make a commitment announcement in May. I’m told his intentions were to inform the coaching staffs that he was good to go and ready to make a decision in the near future. While that all may take place, the feeling from sources I’ve spoken with is that following phone conversations with both Taylor and Long, he’s going to take a step back, not make a rushed decision, and still take his trip to South Bend before deciding his future plans prior to the start of his senior season. If that holds up, it seems Notre Dame dodged a major bullet and at least has one more opportunity to layout the red carpet and show Tyree exactly what his future could look like with the Irish. The fact of the matter is, Oklahoma blew him away over the weekend and did a great job of selling him on a successful future with the Sooners. Tyree visiting Oklahoma, loving the trip and enjoying his time with that staff shouldn’t be a major shock to people. Lincoln Riley is a tremendous recruiter as a head coach and has put together an excellent staff. They have on-field success to sell and the offensive power is surely appealing to players like Tyree. I believe Oklahoma is the team to beat as of today, but if he takes his time, doesn’t rush into a decision and returns to Notre Dame for a third time, all bets are off. We’ll see what shakes out in the coming weeks, but this is one recruitment that will have Notre Dame fans on the edge of their seats. repoocs, IHHH, beist and 1 other person like this. Notre Dame winning 10 games this season, and Notre Dame putting itself at the top of that second tear of programs, means young players can experience college football with Notre Dame as a premier team. That is what Notre Dame must show the nation’s top recruits, and that is how Notre Dame gets that one or two players per class that can put it over the top and bring home another championship. Beyond the big picture opportunities for the program, there are other things Notre Dame can accomplish this season that haven’t happened for a long time, and they are a part of the Irish getting to that next level and winning at least 10 games this season. Notre Dame travels to Ann Arbor, Mich. to take on the Wolverines on Oct. 26. The Fighting Irish haven’t won a game at Michigan since 2005, when the Brady Quinn led Irish beat the 3rd-ranked Wolverines by a score of 17-10. Since then the Irish have lost 38-0 (2007), 38-34 (2009), 35-31 (2011) and 41-30 (2013) in the Big House. Notre Dame travels to Stanford to take on the Cardinal on Nov. 30. Notre Dame has two big opportunities in that game. For starters, the Irish haven’t beaten Stanford on the road since a 21-14 victory to end the 2007 season. Since then the Irish have lost five straight by scores of 45-38 (2009), 28-14 (2011), 27-20 (2013), 38-36 (2015) and 38-20 (2017). The Irish have led in the fourth quarter in each of their last two losses at Stanford. A win would also mark the first time Notre Dame won back-to-back season-ending games in California since it started the alternating USC-Stanford road games back in 1998. USC travels to South Bend on Oct. 12. Notre Dame has a chance to earn a third-straight victory over the Trojans, something it hasn’t done since a stretch from 1999 to 2001. A win would also make Kelly 7-3 against the Trojans and would give the Irish a fourth-straight home win over its arch-nemesis. Speaking of California, Notre Dame will look to continue tapping into the Golden State and take advantage of USC and Stanford both being down. California has always been an important state to Notre Dame, but the success in the state was hit or miss during Kelly’s first six recruiting classes. Notre Dame signed 10 players in those classes, and the state produced players like tight end Troy Niklas, running back/kick returner George Atkinson, safety Max Redfield and wide receiver Equanimeous St. Brown. There were also some busts from the state, but the 2019 roster will have a heavy California influence. , DE Isaiah Foskey), and the state is key to Notre Dame meeting its need for impact players in the 2020 and 2021 classes.
. Washington is the current leader, but McMillan was on campus this past weekend and said he plans to return to Notre Dame for an official visit. , a four-star cornerback and the nation’s No. 54 overall player. Phillips visited Notre Dame in March and the Irish are a player in his recruitment, but there are still schools in front of them. Both McMillan and Phillips are Rivals100 recruits, and landing both would give the Irish a legitimate chance to finish with a Top 5 class. Right now Notre Dame is likely trailing for both players, but they are very much in the mix. and Moorpark (Calif.) High School offensive lineman Jonah Monheim. was the first player to commit to Notre Dame from the 2021 class, and he’s an excellent player to build that class around.
. That's just the beginning, and there will be plenty more offers going out to 2021 standouts from California. The numbers won’t be big, but if the Irish can keep adding impact players from the state it will continue being a vital piece to Notre Dame’s recruiting efforts. At times this national section will focus on Notre Dame opponents, and that will be the case today. Below is my ranking of the five toughest games for Notre Dame in 2019 and why I believe these to be the case. 1. Georgia Bulldogs – Away – Sept. 21 – There is only one team on the schedule that can match – or even surpass – Notre Dame’s roster from an across the board talent standpoint. Notre Dame is counting on its talented 2018 recruiting class to help on both sides of the ball, but Georgia’s class was even better. Georgia should have its best offense under head coach Kirby Smart. QB Jake Fromm is now a junior, he has a loaded backfield, his pass catchers are extremely talented and the offensive line should benefit greatly from the experience it gained last season. There are questions on defense, but like Notre Dame there is a lot of talent to work with. How well the front seven develops will largely determine whether or not the Bulldogs can challenge for the SEC crown. 2. USC Trojans – Home – Oct. 12 – I know the Trojans went 5-7 last year and I have little faith in their head coach, Clay Helton. But when I study the USC roster, I still get impressed by the talent. USC recruited an outstanding defensive line class in 2017, and those guys are all going to be juniors. Combined with what I believe to be a talented group of linebackers, USC has a chance to have one of the better front sevens on the Notre Dame schedule. The offensive line is still a mess, but USC has a lot of talent at the skill positions. I would argue that USC’s wide receiver corps is the best on Notre Dame’s schedule, and I’m not sure it’s all that close. Michael Pittman, Amon-Ra St. Brown and Tyler Vaughns are all dynamic players, and there is depth at the position. USC also has talent at running back. USC will underachieve as a team, but they will be up for this game and their talent could make this a very competitive game. 3. Stanford Cardinal – Away – Nov. 30– Stanford being ranked this high has more to do with Notre Dame’s struggles at Stanford Stadium the last decade than it does the talent Stanford returns. Notre Dame has not won a game on the road against the Cardinal since 2007, and until they can get over that hump this game remains a major concern. The Cardinal lost a lot on offense from its 2018 unit, and its offensive line struggled last season, but I really like their young talent at the wide receiver position and I expect a bounce back from the Cardinal line. On defense Stanford doesn’t have the size or power it used to, and Notre Dame should be able to move the ball on the Cardinal. But again, until the Irish beat Stanford at Stanford this game must be considered a tough one. The fact Stanford has one of the best head coaches in the nation always makes them tough. 4. Michigan Wolverines – Away – Oct. 26– You won’t see me jumping on the Michigan bandwagon anytime soon. The Wolverines have some talent in spots, especially at wide receiver, but this is a team that was built around a vaunted defense, and that group had some massive losses. Rashan Gary was not as good as people made him out to be, but defensive end Chase Winovichand linebacker Devin Bush were studs, and they were the heart and soul of that team. I don’t think the talent competing for those spots is nearly as good as what they lost. I expect Michigan to be better on offense, but their line still isn’t great and their running backs are average. With all that being said, this is still going to be a tough game, especially on the road. 5. Virginia Tech Hokies – Home – Nov. 2– Virginia Tech’s struggles in 2018 could prove beneficial in a lot of ways. First of all, I believe head coach Justin Fuente was able to clean house somewhat, and the guys that return could be more committed. At least that’s how I’d spin it if I was them. But more importantly, all the injuries thrust a lot of young players onto the field. Outside of the offensive line – which loses three starters – Virginia Tech has A LOT coming back next year. Their wide receivers should be really good, their tight end is really good and they have some young but talented players in their front seven. Virginia might be the better team because they are tough and well-coached, but Virginia Tech scares me more because they have the playmakers to give the Irish defense problems. One of my favorite stats when evaluating an offense is yards per play. It’s not an end all stat, but I think when looking at the team’s yards per play over the course of the season. A look at Notre Dame’s yards per play average on offense during the Brian Kelly era, with its points per game average that season in parenthesis. It’s not a surprise that Notre Dame’s three best scoring seasons (2017, 2015, 2014) also happen to be its three best yards per play seasons. The alternate uniform thing is getting out of control. I personally like the idea because I know that I would have loved them when I was a player. But some of them are just epic fails. The Michigan State alternate uniforms might be the most hideous thing I have ever seen in my life. It looks like someone let their 3-year old child design the uniforms on the old EA Sports NCAA Football game. , a four-star recruit that is ranked among the Top 150 prospects in the country by both ESPN and 247 Sports. Botelho is a unique player to me, and one that would be a major addition to the Irish program should the staff be able to pull off the upset and add him to the class. In the film below you'll see why Notre Dame's staff likes him so much at the drop end position, but what I love about Botelho's game is that I believe he could just as easily play inside, and if you know me you know how much I love versatile players. Beeds07, beist and chase538 like this. eh boy... we don't do well with these types of back and forth recruitments. For now, the revolving door of national visitors has come to an end for Notre Dame. We will see some prospect hit campus between now and the end of May, but the main focus will now be the ‘Evaluation Period,’ Notre Dame’s coaching staff dropping in on prospects from coast-to-coast. This period comes on the heels of Notre Dame making its case with a long list of impact prospects, essentially hosting the vast majority of its top targets in recent weeks, including the majority of its running back board, its top three tackle recruits, Top 50 edge rushers in Braiden McGregor and Jordan Botelho, and so on. Among the top storylines that arose from this bustling month of spring visits, recent concerns around the Sooners have dominated the discussion recently. Let’s start there. Many were predicting the Irish for the five-star running back before a trip to Norman on the weekend brought forth the notion that he could make a decision prior to his official visit to Notre Dame in June. How can Notre Dame prevent this? As we know, Lance Taylor headed to Virginia to check in on Tyree on Tuesday. Notre Dame is without a running back commitment after signing a trio of three-star backs over the last two classes. And of course, a Notre Dame degree certainly outweighs his other options. On the other hand, the Sooners currently hold a five-star running back commitment after signing both a four-star running back and a junior college back in the 2019 class – an athlete who rushed for over 2,000 yards in 2018. 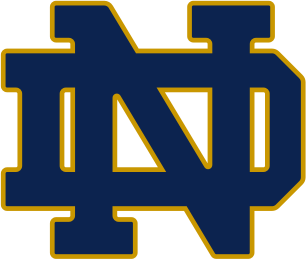 Considering the graduation rate is often brought up, Notre Dame is sitting high with a 95-percent graduation rate for its football players while Oklahoma lists at 76-percent. It goes without saying that Notre Dame has a multi-faceted argument – a clear path to the field and a strong degree. Whether that argument will hold up is going to be a consequential topic with moving forward. If Oklahoma indeed pushed into the lead and remain there in the coming days, it wouldn’t be unreasonable to assume that Notre Dame has the raw material to regain that top spot. Given the extensive evaluation within recruiting coverage, we think we know what Notre Dame is acquiring every February when the recruiting cycle concludes. But we don’t. Notre Dame’s current depth chart is proof that most of us should re-think those expectations we have every year. Here are three examples. 1. With five running backs on the roster, it isn’t the veteran out of IMG Academy getting the nod as the starter. Nope. It’s the consensus No. 69 overall wide receiver in the 2017 class out of Mission, Kansas in Jafar Armstrong. Who saw that coming in February 2017? 2. Shayne Simon capped off his senior campaign with a stellar performance at the All-American Bowl which prompted 247Sports to bump his ranking into the Top 50. It was with confidence that most assumed he would earn the starting spot this spring. Instead, his 2018 classmate in Paul Moala – the lowest-ranked defensive signee in the 27-man class and former defensive back prospect – is pushing for the starting nod after posting nine tackles and two sacks in the Blue-Gold Game. 3. Notre Dame signed four linebackers in the 2018 class, three of which were highly-regarded four-stars in Jack Lamb, Shayne Simon, and Bo Bauer. It was Ovie Oghoufo who was hard to place as he entered the program, his future role questioned by some. Today, Oghoufo isn’t only progressing at the drop end position. The head coach is drawing comparisons to who might be Notre Dame’s best player in the program. “He’s a young Julian Okwara,” Brian Kelly said following a recent spring practice. The following is a combination of opinion and fact. As I drew out in my “Deep Dive: Notre Dame DE Recruiting” article last week (click here for that review), there is a long list of prospects on the board but just two are strong-side ends: Braiden McGregor and Cam Large. From conversations I’ve had with sources in-the-know recently, it appears that the drop end position is much more of a possibility than most assume for Braiden McGregor. After watching the hulking Michigan product play basketball weeks ago, it became clear to the coaching staff that a future on the weak side is much more plausible than previously anticipated. With that in mind, it’s also worth noting that early-entry freshman Nana Osafo-Mensah has gotten work on the strong-side end – the spot in which some at Irish Illustrated have long speculated that they could be his eventual role. It’s too early to say how the position fits of Osafo-Mensah and Isaiah Foskey will develop. But it’s worth considering that Notre Dame could end up shooting only at the drop end position going forward – McGregor included. With that, Jordan Botelho gives the Irish another outstanding drop end to pursue while athletes like Ben Yurosek, Deontae Craig, and Mitchell Melton are in the discussion. It’ll be interesting to see how Osafo-Mensah and Foskey develop through the off-season as that situation could tell us plenty about where Notre Dame will add along the D-line. chase538 and beist like this. chase538, Wicket and beist like this. edit: because surely just 2 5* running backs is enough for OU right? I would put the odds of Harbaugh getting fired at about 1%. a1ND, laxjoe and IHHH like this. Red Rover and laxjoe like this. VoodooChild5, laxjoe and chase538 like this. Didn’t they have us around that level at the start of last year? I seem to recall they had us as like the 4th most likely team to make the playoffs, and I laughed at that too. But I agree that seems too high for Michigan.